We make various services available on this site including, but not limited to, Courses Educational information Assorted bric-a-brac, and other like services. You are responsible for providing, at your own expense, all equipment necessary to use the services, including a computer, modem, and Internet access (including payment of all fees associated with such access). Copyright (c) Jan 1, 2010 Brooklyn Brainery All Rights Reserved. All notices to a party shall be in writing and shall be made either via email or conventional mail. 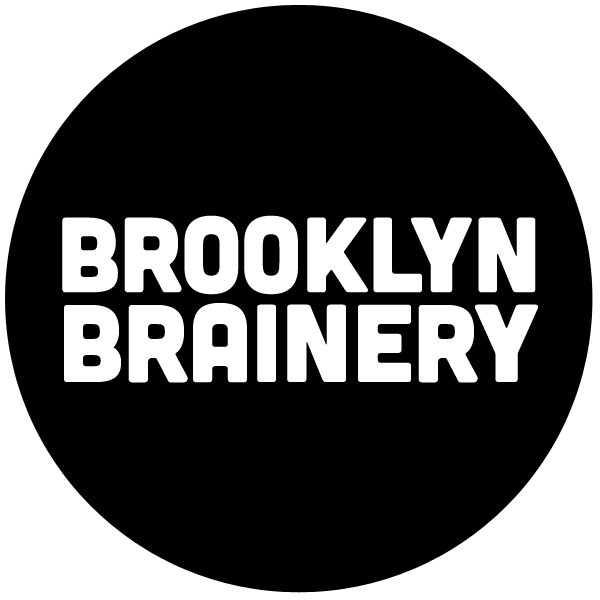 Notices to us must be sent to the attention of Customer Service at complaints@brooklynbrainery.com, if by email, or at Brooklyn Brainery 515 Court St, Brooklyn, NY 11231 if by conventional mail. Notices to you may be sent to the address supplied by you as part of your Registration Data. In addition, we may broadcast notices or messages through the site to inform you of changes to the site or other matters of importance, and such broadcasts shall constitute notice to you at the time of sending. Brooklyn Brainery ("Seller") hereby agrees to sell, and You ("Buyer") hereby agree to purchase, goods of the description and quantity described on the checkout window ("Checkout") and incorporated herein by this reference ("Goods") on the terms and conditions set forth in this Agreement. No warranty is provided for any goods or services sold through this site. Caveat emptor. Brooklyn Brainery ("We" or "Us" or "Our") offers the use of its blogging and message board services (along with the content posted thereon, the "Services") subject to the terms and conditions of use (the "Terms") contained herein. All references herein to "We," "Us," or "Our" are intended to include Brooklyn Brainery and any other affiliated companies. By accessing, creating or contributing to any blogs or messages hosted by us (the "Blog"), and in consideration for the Services we provide to you, you agree to abide by these Terms. Please read them carefully before posting to or creating any Blog. We reserve the right to change, at any time, at our sole discretion, the Terms under which these Services are offered. You are responsible for regularly reviewing these Terms for changes. Your continued use of the Services constitutes your acceptance of all such Terms. If you do not agree with these Terms, please do not use the Services.